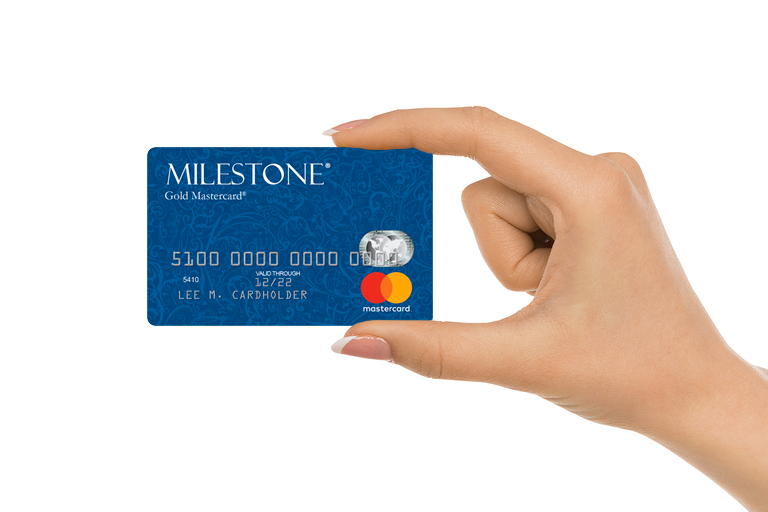 The Milestone® Mastercard® with Free Choice of Card Image, issued by The Bank of Missouri, is designed for consumers with less than perfect credit. With the Milestone® Mastercard® with Free Choice of Card Image in hand, consumers have the opportunity to both access and build credit. Before we discuss the finer details of the offer, including features and benefits, it’s worth mentioning that The Bank of Missouri has a long standing reputation. Not only is it an FDIC-insured financial institution, but it has also been in business since 1891. When it comes to your credit card there’s nothing more important than customer service. Fortunately, you never have to worry about this with Milestone. In addition to online servicing, all customer service representatives are located in the United States. Furthermore, your payment history is reported to the three major credit bureaus: Equifax, Experian, and TransUnion. So, as long as you remain in good standing, your payment history can help improve your credit. It’s easy to get started with this credit card offer, thanks to the straightforward approach to pre-qualification. Getting started is as simple as visiting the Milestone website. From there, you can supply some very basic information in order to receive a pre-approval. In addition to being quick, there’s no impact to your credit score. The Milestone® Mastercard® with Free Choice of Card Image is a “no-nonsense” type of credit card. It has everything you need and nothing you don’t, all with the idea that responsible use can help strengthen your credit history and improve your score.